My very favorite season is upon us! I love fall. I think it stems from my Floridian roots and the fact that, growing up I never got to experience a true fall. 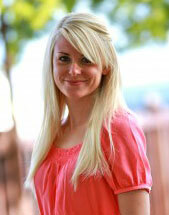 When I moved to Northern California a few years ago, I fell in love with all the new changes that this season brings! I love the brightly colored leaves, the crisp autumn air and the abundance of belly-warming dishes like this one. This traditional French dish of lentils and spicy sausages is one of my favorite ways to usher in the new season. It’s absolutely delicious and perfect for an easy one-pot weeknight meal that the whole family will love. 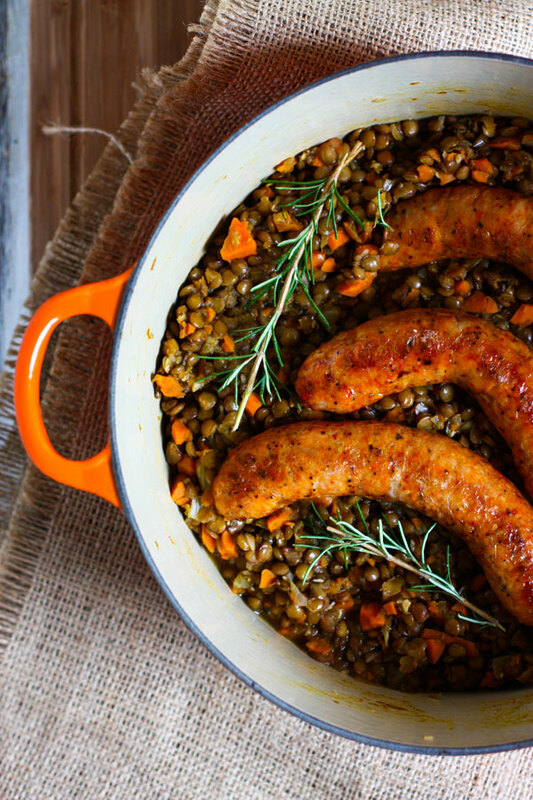 Hot Italian sausages are roasted until crispy and served with flavorful green lentils that have been simmering with onion, carrot, celery and garlic. Fresh rosemary and a dash of mustard finish this dish off—your family will be begging for more! Don’t forget some crusty French bread and red wine. 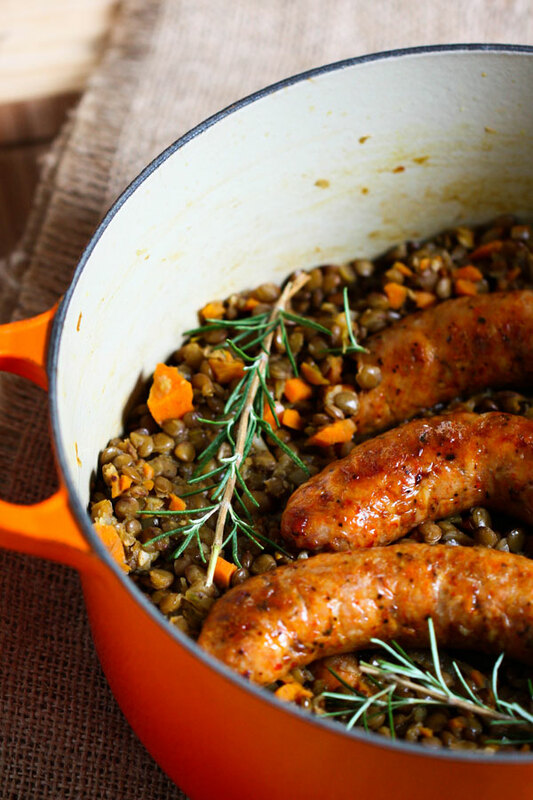 This traditional French dish of lentils and spicy sausages is perfect for an easy one-pot weeknight meal from Jenna Weber on the Fresh Tastes blog. Heat the oil over medium heat in a large heavy-bottomed pot or dutch oven. When hot, add the onion, carrot and celery. Saute for five minutes, stirring frequently, then add the garlic and continue sautéing for another two minutes. Add the fresh rosemary, dried thyme, bay leaf, smoked paprika and lentils. Mix well then pour in the stock. Bring to a boil, then reduce heat and simmer for about 25 minutes until lentils have absorbed most of the liquid. Stir in the Dijon mustard and red wine vinegar and continue simmering until all the liquid has been absorbed. Meanwhile, preheat the oven to 425 degrees. Place sausages on a baking sheet and lightly mist with cooking spray. Place in the oven and roast for 15-20 minutes, flipping midway through. You want the sausages to be crispy and golden. 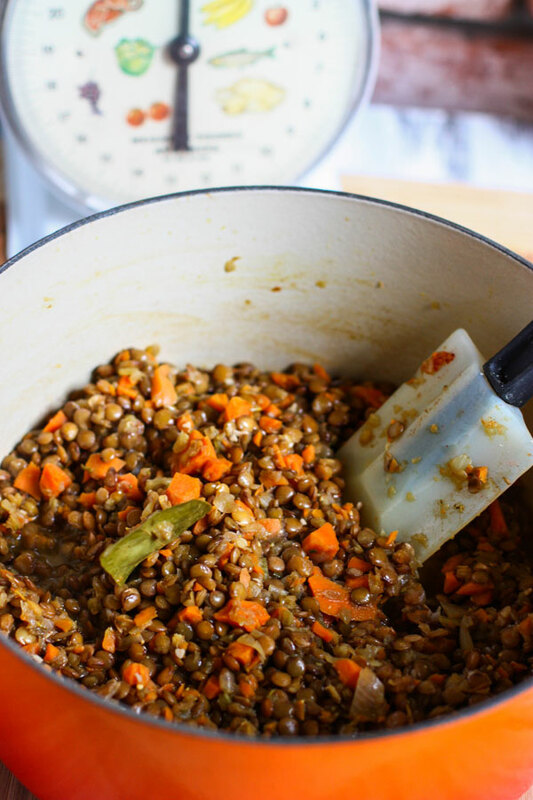 When the sausages are finished roasting, place in the pot with the lentils and serve together. Season lentils with additional salt to taste.